In 2016 version there’s a maya style mouse over object outline. It’s kinda fun, but can be distracting. With high polycounts it’s really slow and irritating. Mouse over a million poly object and max freezes as it calculates glow. 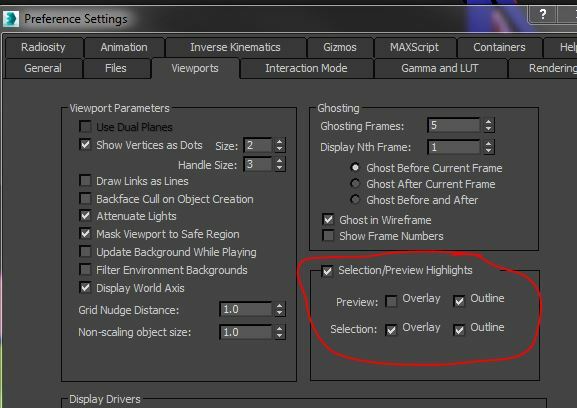 You can disable it in the 3dsMax preferences. Customise > Preferences > Viewports tab > Selection/Preview Highlights.